Emergence of New State of Jharkhand endowed with nature's bounty of rich reserves of coal, iron ore copper, bauxite, uranium, lime stone potential for power generation etc.Has heralded era of promising future if we all engage ourselves in planned and earnest endeavour to names the vast potential available of our disposal. No state in India can match Jharkhand now and during next 50 to 100 years in steel production which accounts for around 8 million Tones per annum including its two gaint steel plants at Bokaro & Jamshedpur. For such rich harvest of industrial gains, besides capital investment and managerial input, what is importantly and urgently need, is 'SKILLED WORKFORCE'. 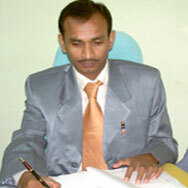 Its is for creating and augmenting an young and dynamic band of well-educated and technically qualified artisans that an endeavour has been undertaken at the Industrial Training Centre under the patron ship of the parent body Birsa Vikas Society, as social and philanthropic organization registered under the Societies Act, 1860 with registration No. 146 dated 19th Nov 2001 from the State Government of Jharkhand. With its rich faculty of teaching and instructing staff, well-equipped work shop, library and dedicated management team, this I.T.I is poised for raising a much needed deserving batch of technically skilled workforce for the Industrial Sector. 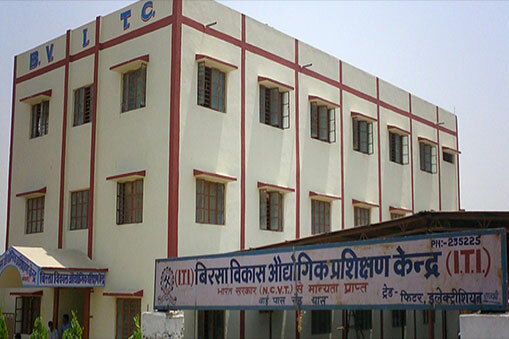 The Institute is permanently affiliated to N.C.VT (National Council for Vocational Training), Government of India, Ministry of Labour and Employment, Vide DGET 6/34/3/2003-TC. It is conveniently located at Bye Pass Road, Chas, Bokaro on NH-23 with ready and prompt public transport facilities from all sides, and easy access to places in coal, mineral and industrial belt. Persently, 03 I.T.I trades with hostel have been operating FITTER, ELECTRICIAN & MECHANIC (DIESEL). India top company coming to Birsa Vikas I.T.I campus for hiring loco pilot and railway driver"
Hurry Admission Open for EL/FT-2018-20 batch"
"Hurry Admission Open for MD -2018-19 batch"
Copyright © 2017 Birsa Vikas I.T.I.